Corvara, 23 January 2019 – In exactly ten days the most important competition of the season will take place, which has been organized at the Ice Tower Eisturm Rabenstein (Bolzano/South Tyrol) for the last six years with a high degree of professionalism and originality. 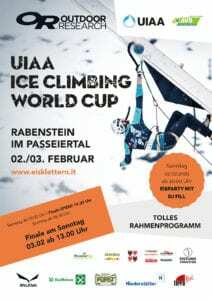 On Saturday, 2nd and Sunday, 3rd February the UICC Ice Climbing World Cup comes to Val Passiria for the seventh time, where the entire world elite of this fascinating sport will be present. 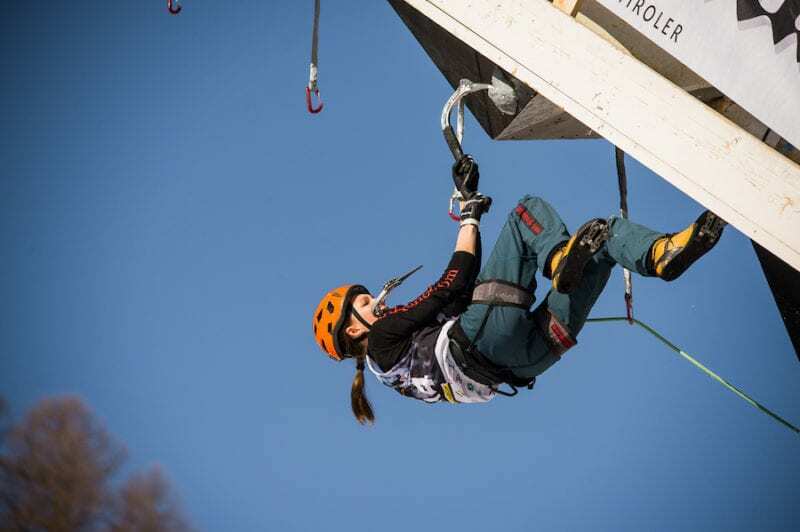 The Ice Climbing World Cup is in full swing. Two stages have already been held in the 2018/19 season, in South Korea and China respectively. In the men’s Lead category the Russian Nikolai Kuzovlev remains unbeaten, winning the first two competitions. In December Kuzovlev also won the World Championships in the combined discipline in Moscow. The same is true for the women, where reigning World Champion Maria Tolokonina (Russia) stood on the top of the podium both times. This weekend the best ice climbers in the world are coming to Europe when the World Cup stops in Saas Fee in Switzerland before moving on to Corvara in South Tyrol. “Preparations are in full swing. We are a well-coordinated team and know what to expect in the next few days. Despite the most careful planning there are always a few small problems to deal with. But we won’t let that worry us. We are looking forward to hosting the World Cup for the seventh time. We are now one of the most traditional organisers in the entire circus,” explains Chair of the Organising Committee Reinhard Graf from the club Eisturm Rabenstein. Since 2013 Corvara has been a firm fixture in the international calendar and enjoys a very high reputation among athletes. For many ice climbers, the status of Corvara is comparable to that of Kitzbühel for Alpine ski racers. This is evidenced by the fact that a particularly large number of ice climbers wants to be at the event in South Tyrol. 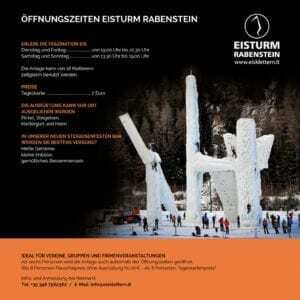 At present, over 80 ice climbers from 19 different countries have already registered for the competitions at the ice tower Eisturm Rabenstein. In addition to the reigning combined discipline World Champions there is also last year’s winner Mohammadreza Safdarian (Iran) and his strong competitors Lee Younggeon and Hee Yong Park from South Korea. Park, the clear favourite with the spectators in Corvara, returns to the sport after a one-year break. For many years Russia has consistently won the stage victory in Speed. This year, Vladislav Iurlov and Anton Nemov each won one World Cup stage. For women, Maria Tolokonina is the measure of all things – in both disciplines. She is likely to be challenged in the Lead category by Eimir McSwiggan from Ireland, Woonseon Shin from Korea and Enni Bertling from Finland. 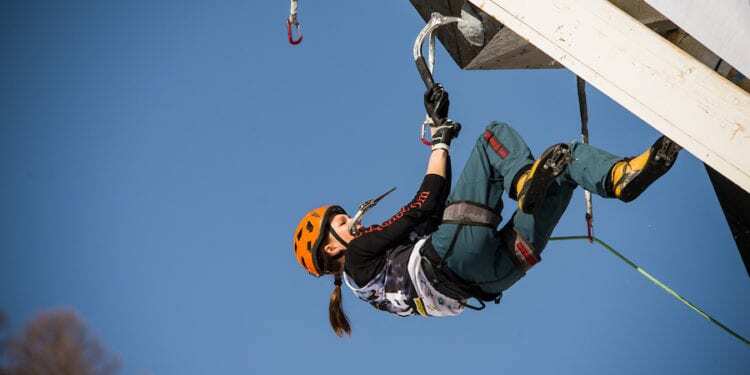 In speed climbing, however, Tolokoninas country fellows Ekaterina Koshcheeva, Natalia Savitskaia and Ekaterina Feoktistova always promise a top result. The programme in Corvara is varied. On Saturday the qualification rounds start at 9:00 am. The first victors will be determined in the evening from 7:30 pm in the speed finals. Afterwards, the ice party really gets going in the heated marquee. On Sunday the Lead semi-finals start at 8:15 am. The finals start at 1:00 pm. Afterwards, the six best ice climbers in the world attempt to break the speed record (16.16 seconds) to the top of the 25 m high ice tower. On both days of the competition there will also be the by now traditional beer crate climbing. 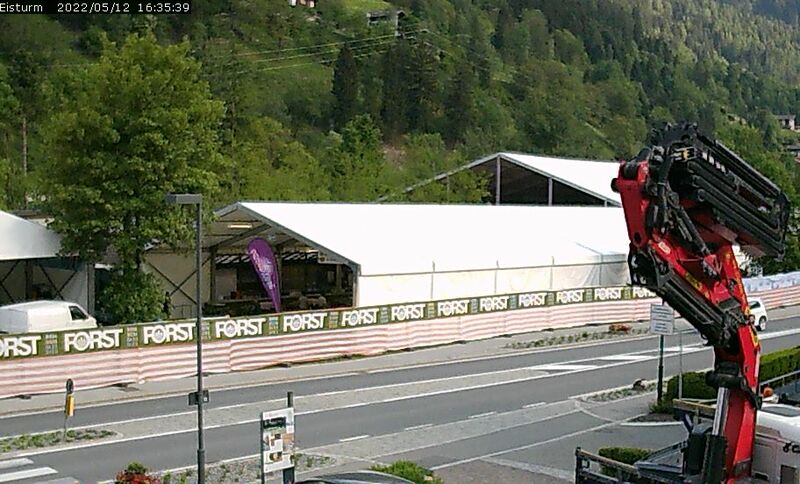 On Sunday afternoon the lumberjack team of South Tyrol will show their skills in a show competition.